The fight for the championship in the Porsche Carrera Cup Deutschland has been decided: Thanks to his ninth win of the season at the Hockenheimring Baden-Württemberg, Thomas Preining (A/BWT Lechner Racing) claimed the title of the national one-make cup. With 254 points, the Porsche Junior held an unassailable lead. “After my disappointing start to the season at Oschersleben I almost gave up on the championship. Now I’m champion. That makes me incredibly proud. I bet I’m the happiest person in the paddock this weekend,” said Preining, with a wide grin. Behind the youngster, Michael Ammermüller (D/BWT Lechner Racing) achieved second place at Saturday’s race. Sweden’s Gustav Malja (Team Deutsche Post by Project 1) finished third. Right from the start, Preining dominated at the front of the field with his 485 hp Porsche 911 GT3 Cup. Taking off from pole position, the Linz racer immediately took the inside line and defended himself against Dylan Pereira (L/Lechner Racing). Although Preining initially managed to build a gap to the field, a safety car had to be deployed so that a vehicle could be salvaged. After the restart in the sixth lap, the Lechner driver again pulled clear and crossed the finish line in first place after 16 laps. Behind the young racing driver from Austria, fights for positions ensued. Ammermüller in third put Pereira under pressure and grabbed his chance in the hairpin in lap nine. Larry ten Voorde (NL/Team Deutsche Post by Project 1) also made the most of the situation to get past the Luxembourger. However while doing this, the Project 1 driver touched Pereira’s 911 and received a drive-through penalty. Ammermüller finished on second place three seconds behind Preining. “I had a minor collision in the first corner and at first I didn’t have the speed. 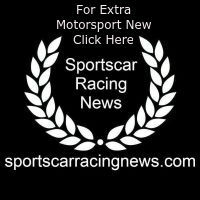 It got better during the race, but I couldn’t do better than second place today,” said the 32-year-old Ammermüller. 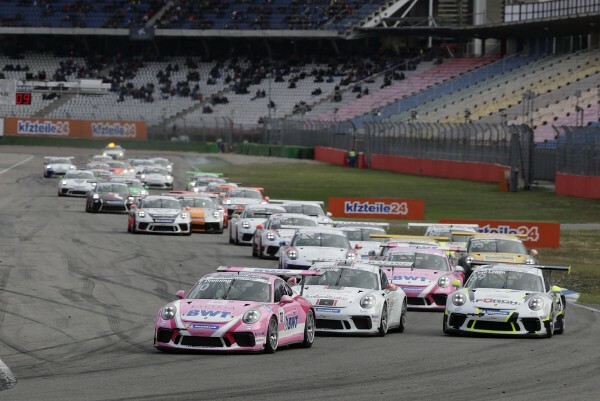 The last round of the Porsche Carrera Cup Deutschland will also be contested on the Hockenheimring. Race 14 takes off on Sunday at 11:35 hrs CEST.